The fabrics for this project were given to me by Island Batik as part of their ambassador program. 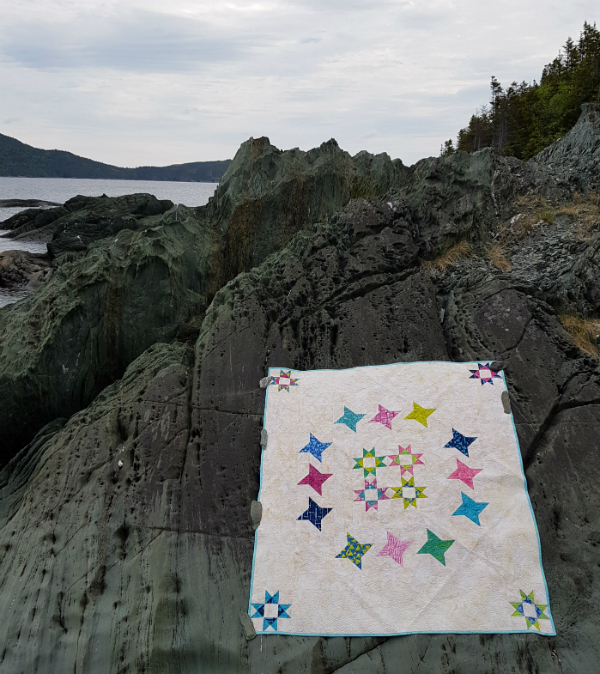 Edited October 11, 2018 to say, the pattern for this quilt is now available! Get your copy in my Payhip or Etsy shop. I'm sneaking in under the wire with this quilt, which has actually been finished for a full week. Getting pictures was nearly impossible though. It was the last week of school, so there were events 3 evenings, I was sick most of the week and the weather was not at all cooperating. I finally got the pictures this morning, despite the wind (thank you beach rocks for weighing down the edges!). The June Island Batik ambassador challenge was to create a modern batik quilt, which "must incorporate one of the characteristics of modern quilts as defined by the Modern Quilt Guild (the use of bold colors and prints, high contrast and graphic areas of solid color, improvisational piecing, Minimalism, expansive negative space, alternate grid work)." 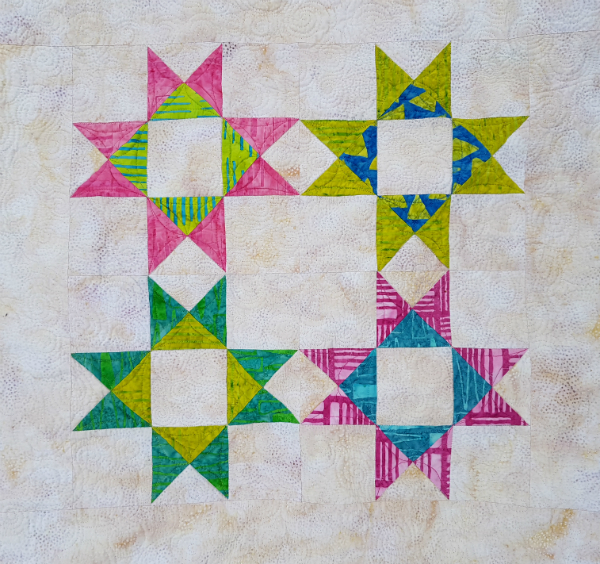 I designed this quilt during the most recent 30 Quilt Designs challenge with Sandra at Musings of a Menopausal Melon and I knew right away it had to go on the "make it soon" list. This is the second of my 30 designs from that challenge that I've made (the first one was my April IB challenge project) and I have a third well underway. The background fabric is called Buttermilk and it's from Island Batik's Foundation Neutrals. I seriously wish I could have a whole bolt of it. It's such a gorgeous cream colour, just right for setting off the bright fabrics of the stars. The fabrics for the stars are all from the Elementz line. The Elementz fabrics have geometric prints in bright colours, giving them a fun, modern vibe. I used Warm and Natural batting and Aurifil thread. I wasn't sure I'd have the right colours in my Aurifil stash, which still isn't very big, but I was pleasantly surprised to find exactly what I needed. I used 2311 for the background and 1231, 2530, 5006 and 4140 for the stars. This quilt is a gift for my mother in law, who has often commented on how much she likes the detailed quilting I do, so I definitely wanted to do lots of fun quilting. All while I pieced the quilt, I kept thinking about how I'd quilt the negative space. I wanted it to be something pretty, but not too time consuming (so no flow quilting, lol) and I didn't want the quilt to end up really stiff (so not a lot of traveling back over the same lines). I finally settled on swirl hooks and tried to make myself stitch them big, with varying levels of success. They ended up being consistently inconsistent in size, but at least some of them are big, lol. I still seem to default to tiny stitching if I'm not paying attention. I really love this design and I'm not sure why I don't think to use it more often. 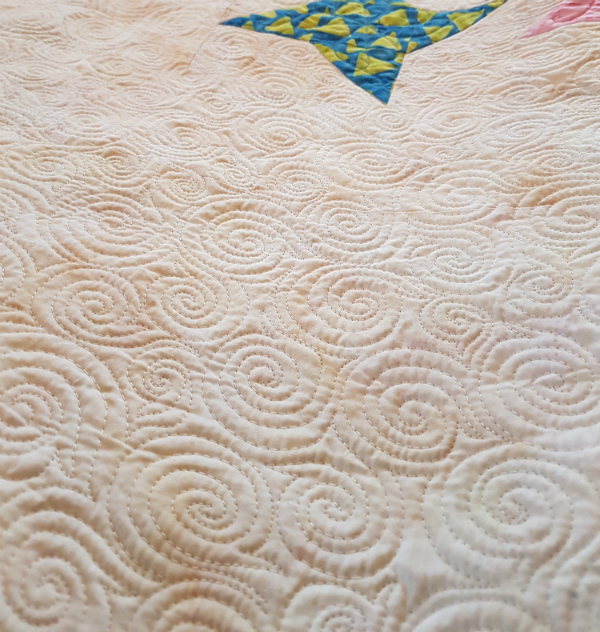 In the Ohio stars, I quilted arcs from corner to corner, with the swirl hooks in the center. 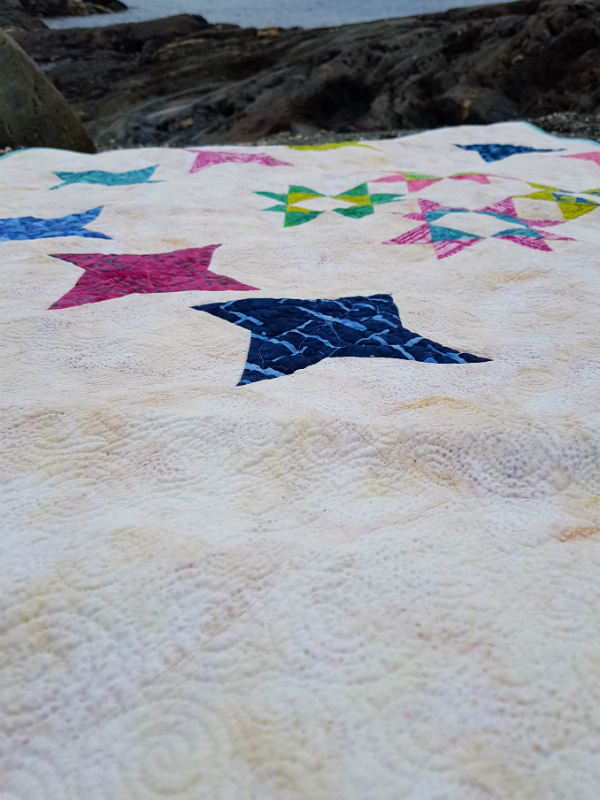 In the friendship stars, I quilted these swirly flowers. I've only used these flowers once before, in my Happy Birthday banner quilt, and it was nice to use them again. 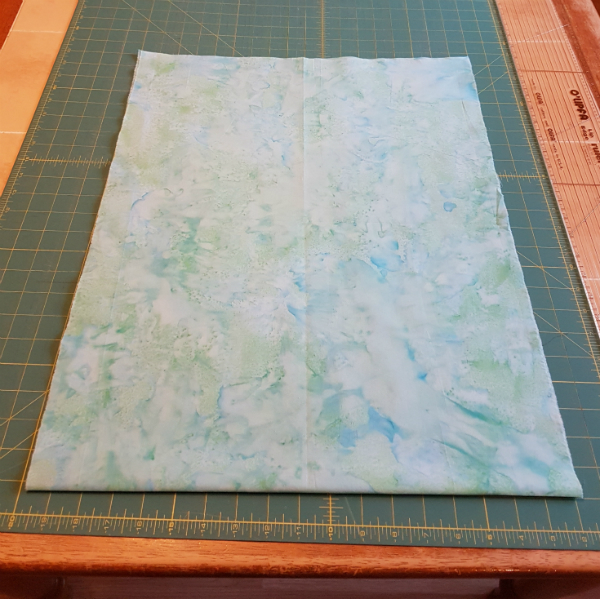 For the binding, I used this fabulous aqua from the Foundation Basics, and I really wish I had a bolt of this one too! Isn't it pretty? I love the way it frames the Buttermilk background of the quilt. My in-laws are celebrating their 50th anniversary tomorrow, so we're giving them His and Hers quilts. This one is hers and my April IB challenge quilt will be his. I hope they both enjoy their new quilts. 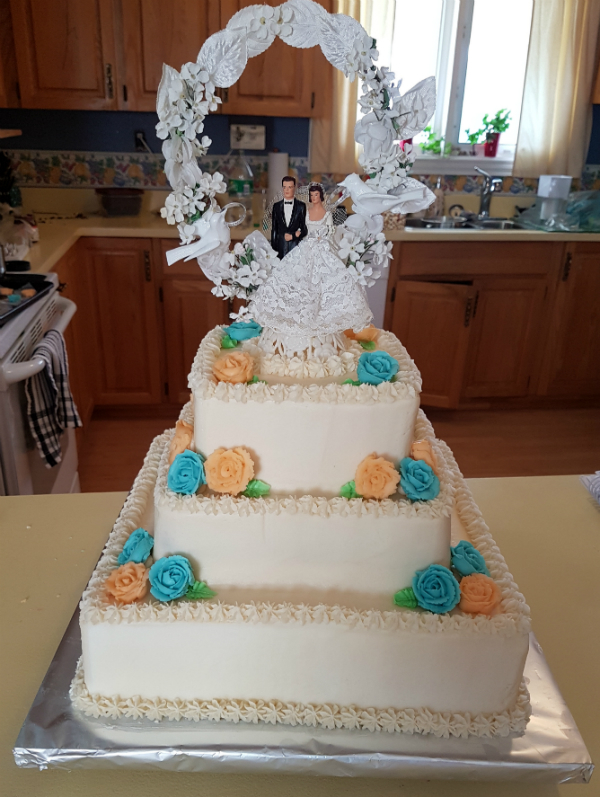 As my contribution to the anniversary celebration, I made this cake using the topper from their wedding cake. I don't usually make fancy cakes like this, so I was a little nervous about how it would turn out. I am working on the pattern for Reach for the Stars, which will be available sometimes over the summer. I'd love to have a couple of pattern testers, so if you're interested, just let me know! Edited October 11, 2018 to say, the pattern is now available! Get your copy from my Payhip or Etsy shop. 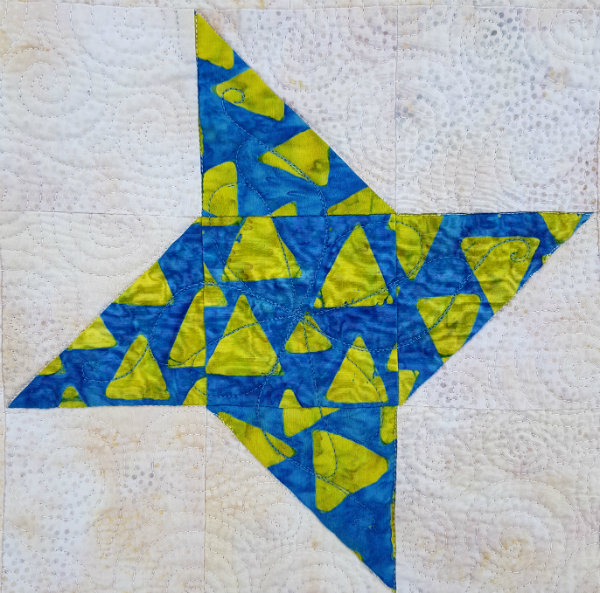 A great, modern star quilt with lots of negative space! You did a good job with the quilting. I would love to test your pattern. It is so pretty. The cake is beautiful too. Nanny says she would give you a 100 on your cake decorating. 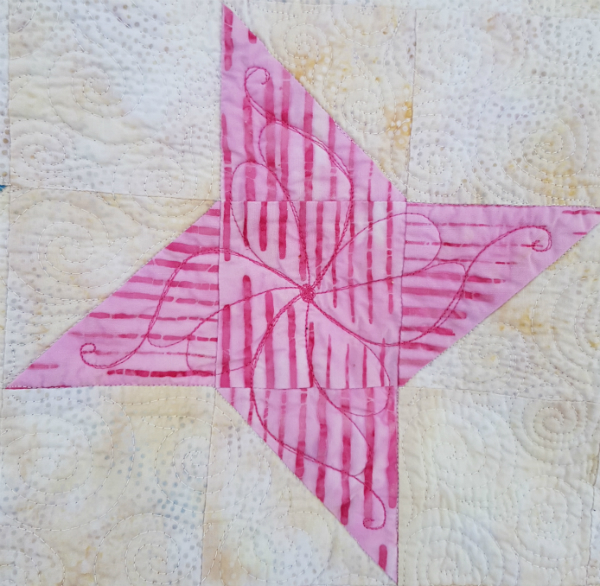 I love Reach for the Stars, Leanne; the texture from your quilting is amazing. What an amazing gift to give 2 of your quilts and make such a beautiful cake for your in-laws. I hope that they have an amazing 50th anniversary celebration and many more joyful years together. That's a great quilt. Well done on the cake. Hope you're feeling better. So pretty. 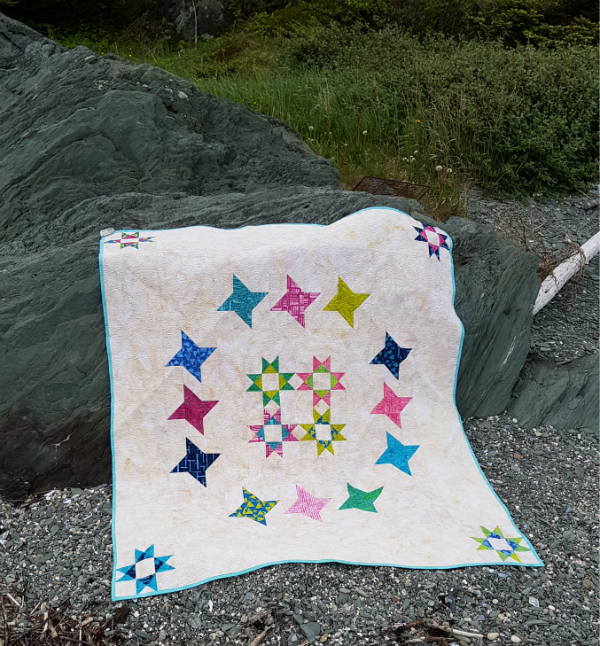 I love the two different stars and quilting.